Polish culinary tradition is extremely varied and each region serves dishes virtually unknown in other parts of the country. This fact is no different when it comes to Poland’s famous Christmas Eve dinner. 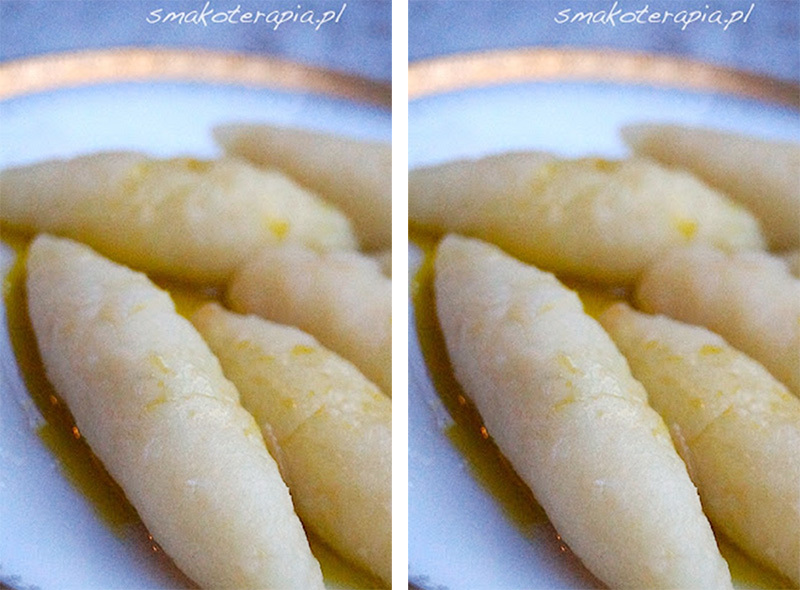 Here are Culture.pl's suggestions for an alternative regional Christmas menu. You all already know the most traditional dishes of Polish Christmas Eve. You've also learned how to create their vegan versions. But in traditional, regional cuisine we can find many more dishes: some of them are pretty original and quite rare, but are proof of the richness of Polish culinary heritage. If you want to prepare an alternative, regional Wigilia, arm yourselves with loads of bakalie (a common Polish name for nuts and various types of dried fruit), honey, poppy seeds, mushrooms, potatoes, and start cooking! These days, hemp seeds are a popular superfood added to smoothies by health-conscious hipsters all over the world. Only a few know that way before they became trendy, they were the base of an old Silesian recipe that can still be found on some tables on Christmas Eve. Siemieniotka is a soup cherished for its unique taste and health benefits – in folk medicine, hemp, or konopia, was used as a medicine against scabies and ulcer. To make the soup, hemp seeds are rinsed, cooked for a very long time and beaten to extract the milk, then cooked again with milk and butter. The soup is usually served with either buckwheat or millet groats. Brzad originally means 'fruit from the orchard' – apples, pears, prunes and sometimes also cherries. The origin of the word, now used only in the Kashubia and Kociewie regions, can be traced back to Slavic translations of the Bible. The soup is made of boiled dried fruit and usually served with small dumplings, and either milk or cream. 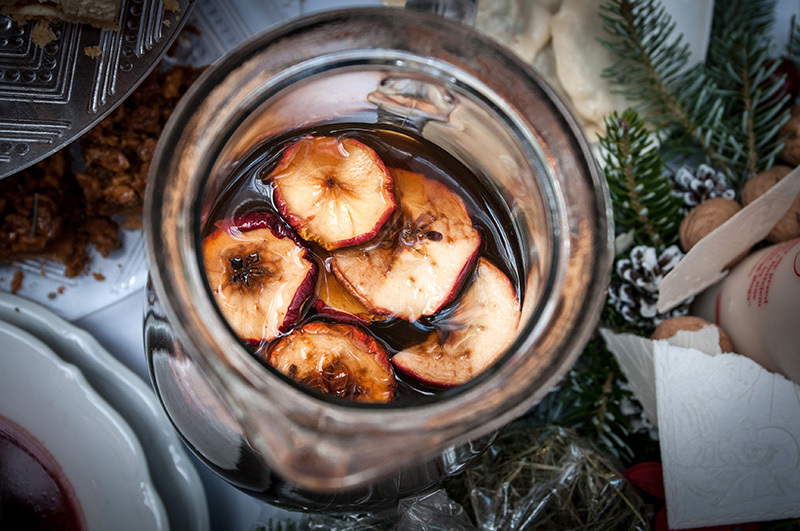 A beverage called kompot z brzadu (or kompot z suszu in other parts of Poland) is more common, which just consists of dried fruit boiled with sugar and a pinch of salt (you can read more about kompot in our article on the traditional 12 Polish Christmas dishes). A different dried fruit soup is also served in the opposite corner of Poland – pamuła is characteristic of the south-eastern region of Podkarpacie. Moczka has so many versions that it is sometimes treated as an appetiser, and sometimes as a dessert. The main ingredient is gingerbread which is soaked (‘to soak’ in Polish is moczyć, and is the root of the dish’s name) in either water, beer or stock. In its less-common savoury version, parsnip was an important ingredient – a vegetable then forgotten and only now finding its way back to the Polish table. In the sweet version, dried fruit and nuts are added, sometimes along with cocoa. According to Bożena Stelmachowska, a Polish ethnographer who researched Kashubian traditions in the 1920s, Christmas Eve dinner used to be very modest: apparently, some households only served one dish and it was salted herring with boiled potatoes, sometimes called pluci. 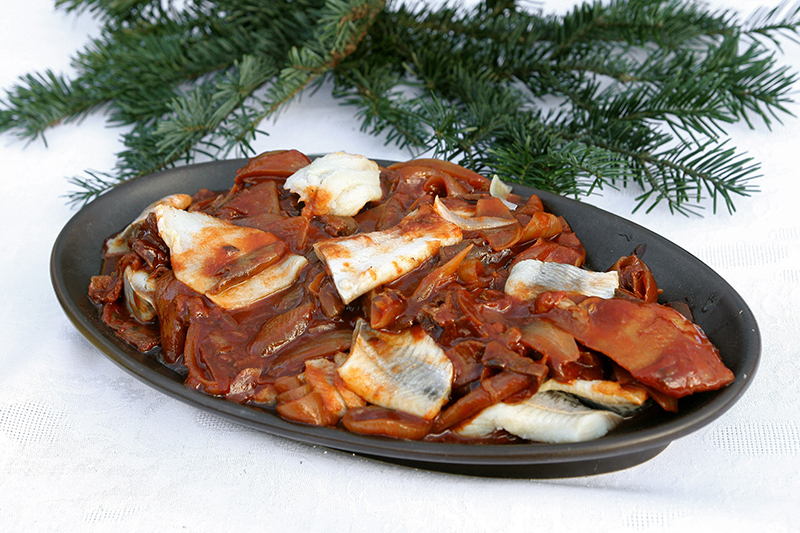 Eating herring for Christmas is actually quite common in Poland and one of the most popular versions is called Kashubian herring (śledź po kaszubsku) – it involves a sauce with onions, tomato paste, lots of cloves and allspice. Sieja is an indigenous whitefish that lives in some Polish lakes. 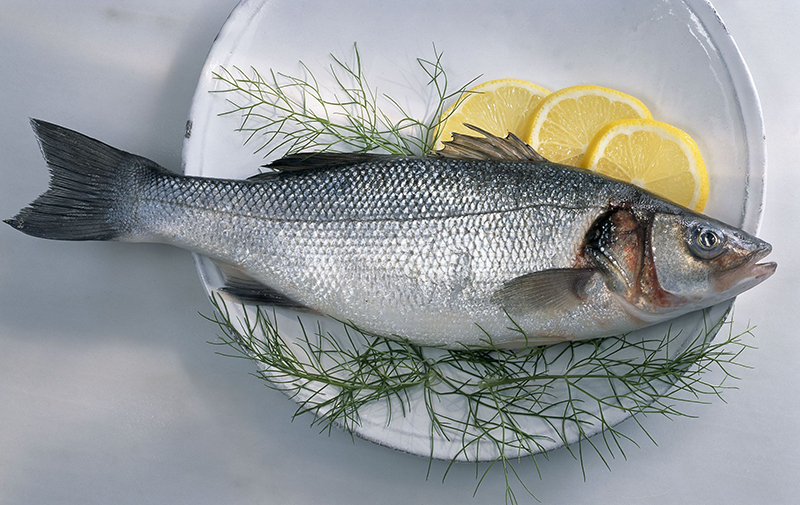 The one used in this dish is usually fished out of Lake Łebsko in the Pomorze region. In the north of Poland, it’s much more popular than the ever-controversial carp, which was introduced to these regions much later. For Christmas Eve, it is fried and served with a mushroom sauce. It's worth mentioning that eating forest mushrooms, one of the most important Christmas ingredients, has pagan Slavic roots: according to ethnologists, they are symbolically connected to the wilderness of the woods and, therefore, to the otherworld. In the south, fish is harder to find. That’s why Wigilia in the Małopolska and Podhale regions is mostly vegetarian and based on potatoes, cabbage and, what might seem surprising to people from other regions, beans. 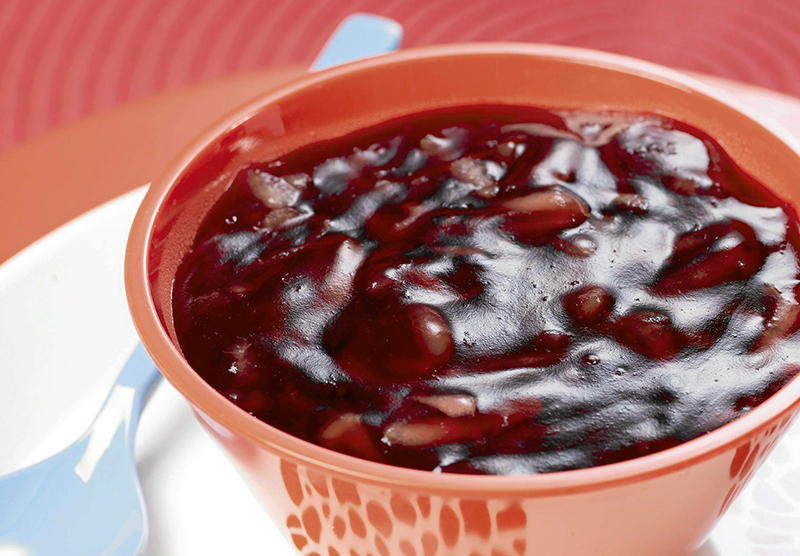 Now known as fasola, beans were once called fizioły, and the name has stuck for this southern dish. For the recipe, big white beans are cooked with wonderful Polish smoked prunes, rosemary and honey (once considered a magical substance that drove Slavic demons away, and still a symbol of wealth and luck for the new year). Krupy is the regional name for groats used by the Lachy Sądeckie – an ethnic group living in the Sądecczyzna region in the very south of Poland. A traditional Christmas dish in this particular region are groats served with yellow split peas. Krupy can also be served with mushrooms or with prunes. Along with beans and peas, they were widely accessible even to the least wealthy, and were also a symbol of fertility and abundance. 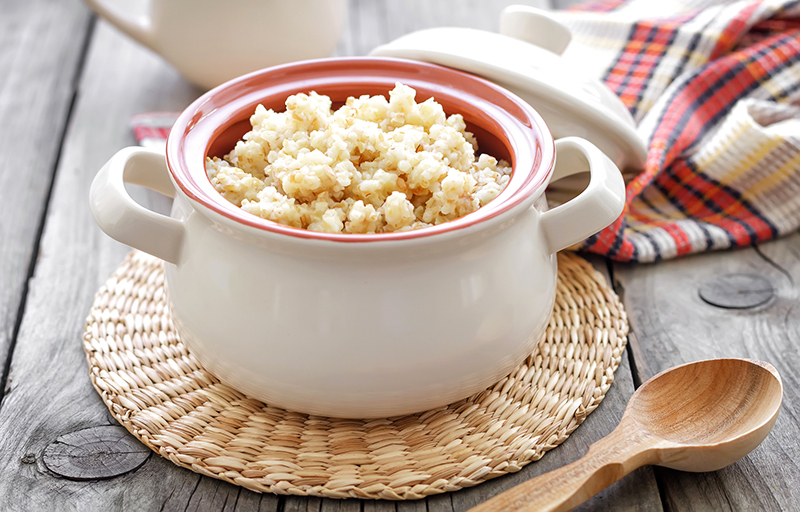 Another little-known dish made of groats is the podhalańska kołatanka – cooked barley mixed with swede and honey. Swede – a vegetable now rarely eaten and often considered 'animal feed' – was once a popular and cheap ingredient. Dried swede was also once the basis of a Christmas soup called więdka, characteristic of the historical region of Pałuki in north-western Poland. Similar to the widely-known kopytka and bukty eaten in Podhale, rwaki are dumplings made of boiled potatoes, flour and eggs. Parts of the dough are then torn by hand (rwać means ‘to tear’ in Polish) and rolled out to form a spindle. They are then served in either a savoury version with cabbage and mushrooms, or in a sweet one which uses one of Poland's most popular Christmas ingredients: poppy seeds. Poppy seeds, due to their ability to cause dizziness and sleepiness, were connected to the otherworld in pagan beliefs, just like honey. They remained a symbol of fertility and wealth, and are therefore used in Christmas desserts all over the country. You've probably heard of makowiec (poppy seed cake) or kluski z makiem (dumplings, rwaki or pasta served with poppy seeds). 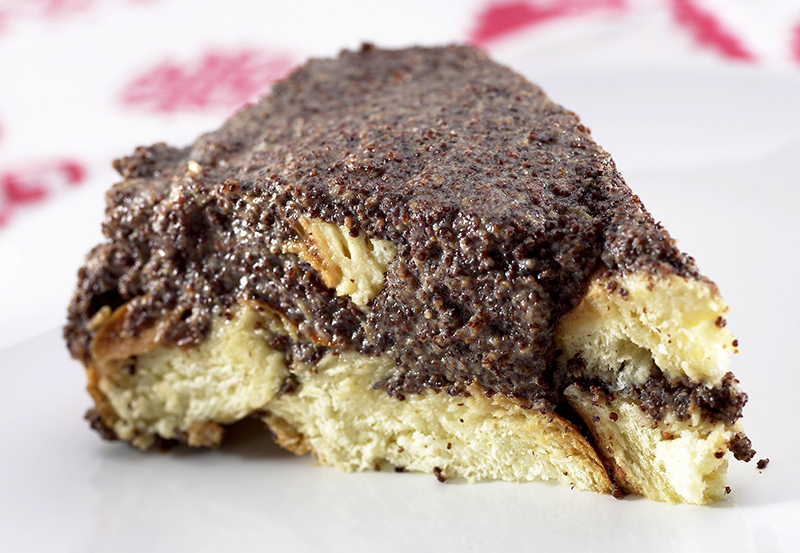 Makówki is the most popular Christmas dessert in Silesia: it involves pieces of bread layered in a bowl with either poppy seeds mixed with honey or bakalie in between. The same dish is known in Wielkopolska under the name makiełki. In some households, poppy seed yeast buns (drożdżówki) are baked for Christmas and when they dry out, they’re soaked with milk and covered with pieces of gingerbread to be served for New Year's – a dessert called śliszki. Makowiec: The Most Scandalous Cake in the World? Postnica is another dish made of groats, a little bit similar to the better-known kutia and characteristic of the south-eastern region of Podkarpacie. Barley groats are cooked with dried fruit such as apples, pears, prunes and raisins, then sweetened with a little bit of honey or sugar. The name comes from a word crucial to Polish Christmas Eve - post, which means ‘fast’ (the food variety). To explain what suszynina is, we have to start with the basics. Have you ever heard of kisiel? It's similar to jelly, and usually made with fruit juice thickened with potato starch (although the original version, also eaten for Christmas, was actually a jelly made from oats). 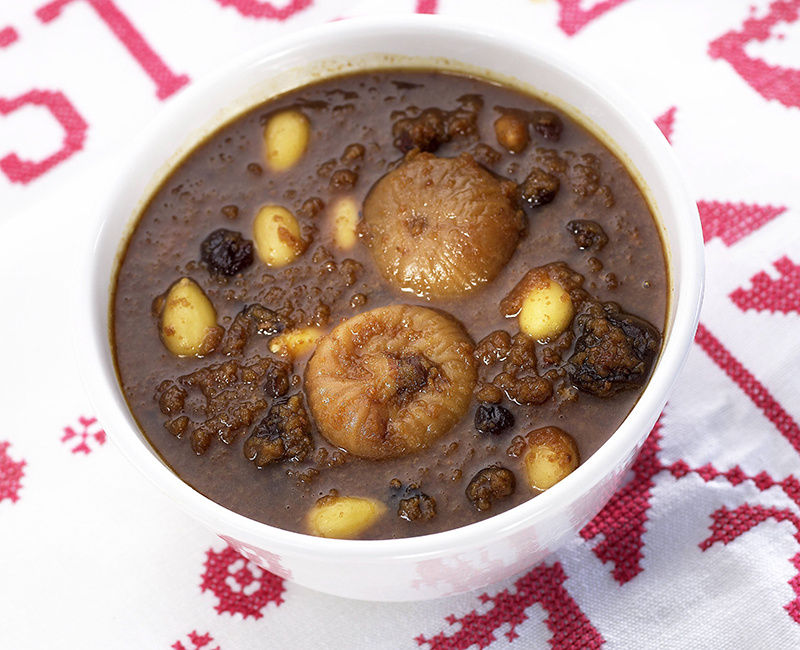 Cranberry kisiel is a traditional Christmas Eve dish in Lithuania and forms the basis of suszynina as eaten in Lower Silesia: dried fruit boiled in a kisiel heavily spiced with cinnamon and cloves. Written by Natalia Mętrak-Ruda, Nov 2016. Some photos thanks to Smakoterapia.